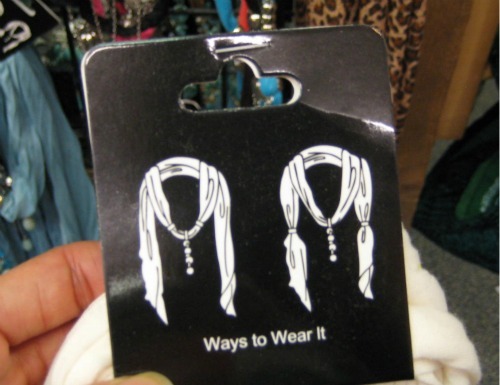 While vacationing in Colorado, I spotted this very easy to make t-shirt scarf. Below, you’ll see it in black, pink, and blue. This could easily be an upcycle use for t-shirts. Another idea for more of a necklace is at Bargain Babe. And if you crochet, look at Mandy’s idea. This entry was posted in crafting and tagged crafty monday, frugal, tshirt scarf. Bookmark the permalink.